Ideal for offices or when space is tight, a wall mounted patch cabinet can house and protect active network equipment such as patch panels, network switches and WIFI modems. 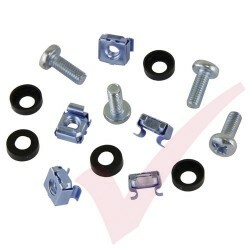 Wall Mount Cabinets There are 13 products. 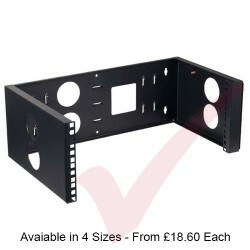 Black cantilever shelf, designed to fit standard 19" wide wall mounted switch cabinets. 1U, 200mm deep with vent holes to improve air circulation to aid cooling of equipment. 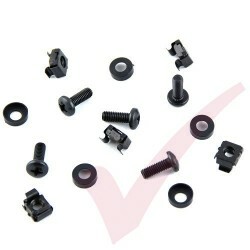 Black cantilever shelf, designed to fit standard 19" wide wall mounted switch cabinets. 1U, 300mm deep with vent holes to improve air circulation to aid cooling of equipment. 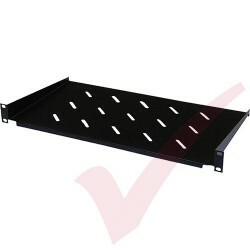 Black cantilever shelf, designed to fit standard 19" wide wall mounted switch cabinets. 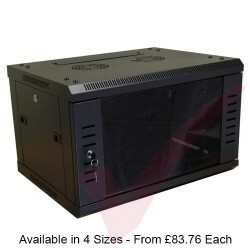 1U, 350mm deep with vent holes to improve air circulation to aid cooling of equipment. 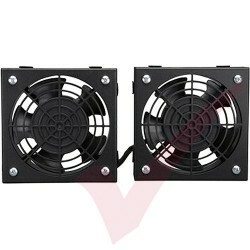 Keep your networking equipment cool, with this easy to install fan unit. 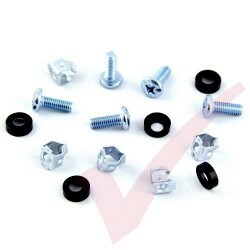 The fan is secured to to the roof of your wall mounted cabinet using the supplied nuts & bolts.